EHR uptake in the ASC community has been tentative. 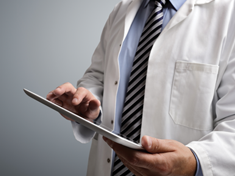 In recent years, health information technology (HIT) has been the talk of the health care industry. Central to this discussion are products known as electronic health records (EHR), systems that electronically capture patient-provider encounter information, securely store the digital information and make it available for future reference. The potential benefits of such a system are boundless: streamlined provider workflows, increased information sharing across sites of service, reduction in medical errors, increased patient access to their health record, better medication tracking and more. Developing and implementing tailored, functional EHRs, however, has been a rocky road even for those with time and resources.